​Radeon Software Crimson ReLive Edition is AMD’s advanced graphics software for enabling high-performance gaming and engaging VR experiences. Some displays may experience corruption when using HDMI scaling. Battlefield1 may experience stuttering in Multi GPU mode with 4K display resolutions when using DirectX11. HDR colors may appear incorrect in Mass Effect: Andromeda on the latest Windows10 Creators Edition update. Radeon RX 550 series graphics products may experience a hard hang when the user's system has not been rebooted for long periods of time. Call of Duty: Advanced Warfare may experience a game hang when performing a task switch. Radeon Software Crimson ReLive Edition 16.12.1 is compatible with the following AMD Radeon products. Note that AMD Radeon R9 Fury, Radeon Pro Duo, and Radeon RX 400 Series graphics are only supported by Radeon Software Crimson ReLive Edition on Windows 7/8.1/10 64-bit. Radeon Software Crimson ReLive Edition 16.12.1 is designed to support the following Microsoft Windows platforms. 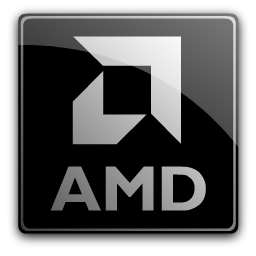 Operating System support may vary depending on your specific AMD Radeon product. When installing Radeon Software Crimson ReLive Edition 16.12.1 for the Windows operating system, the user must be logged on as Administrator, or have Administrator rights to complete the installation of Radeon Software Crimson ReLive Edition 16.12.1. Radeon Software Crimson ReLive Edition 16.12.1 requires Windows 7 Service Pack 1 to be installed.